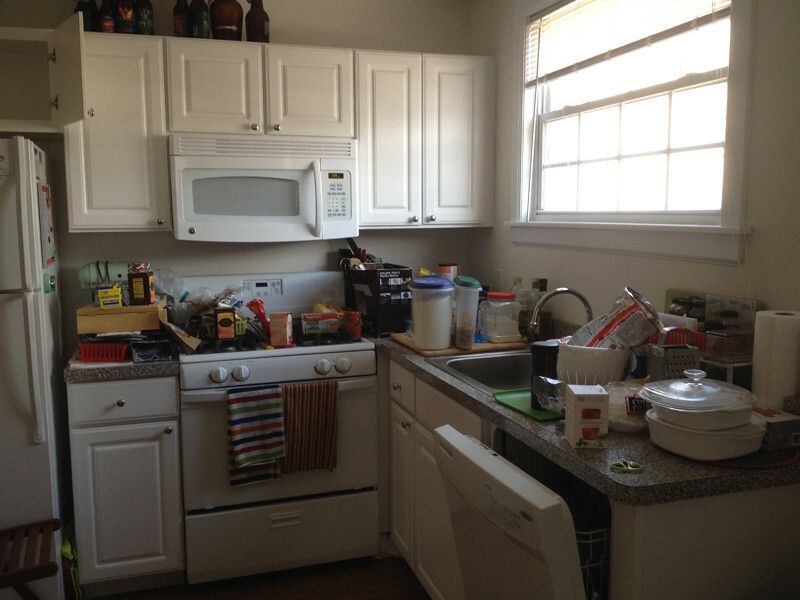 Well, I figured I owe you all a few photos of our new place. There are only three 'finished' rooms so far - the bathroom, kitchen, and bedroom. I say finished but if you know us, you know that no room is every really finished. 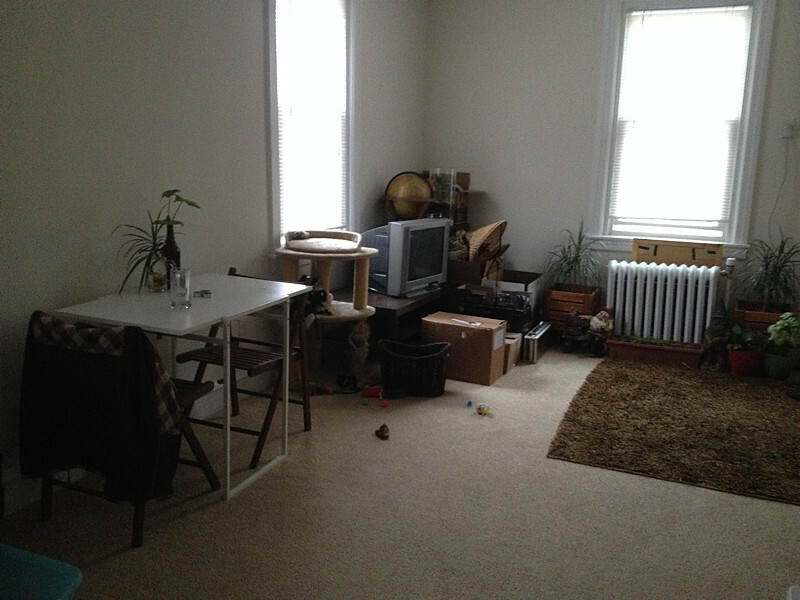 The living room and office/studio still need some organization. 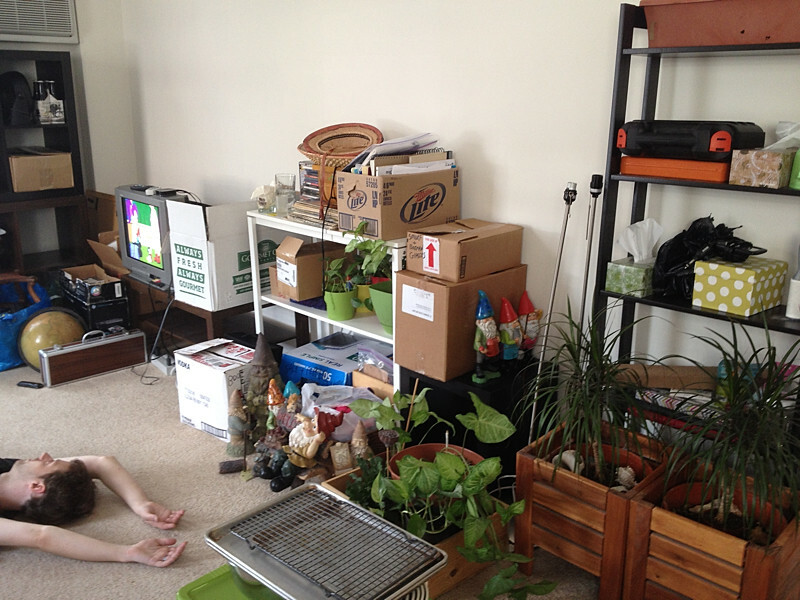 But here's a peek at the whole moving-in process and where we stand right now. 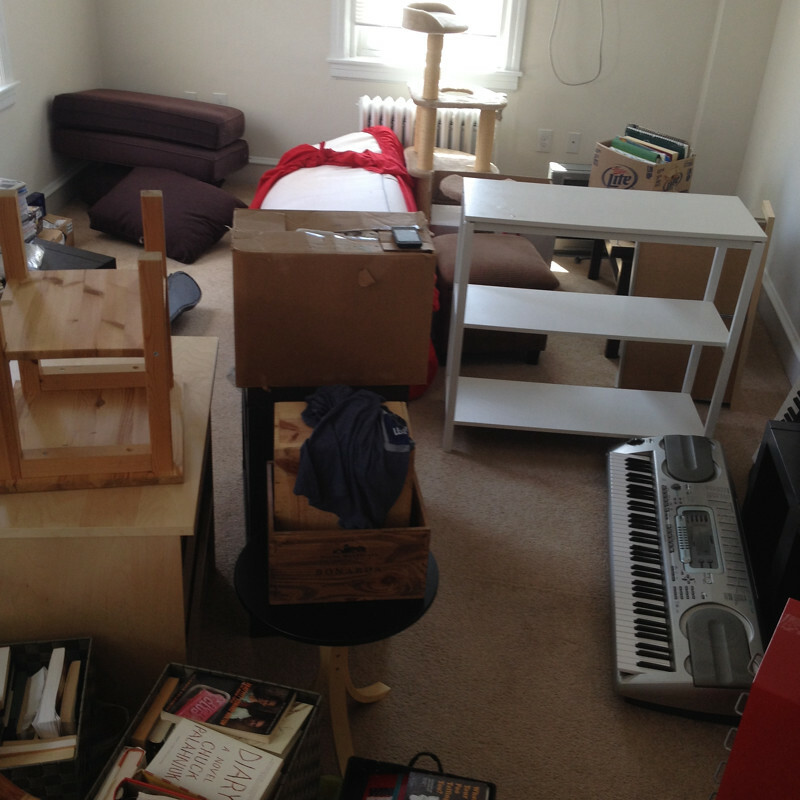 The move was a lot of work (apparently, we have a lot of stuff!! 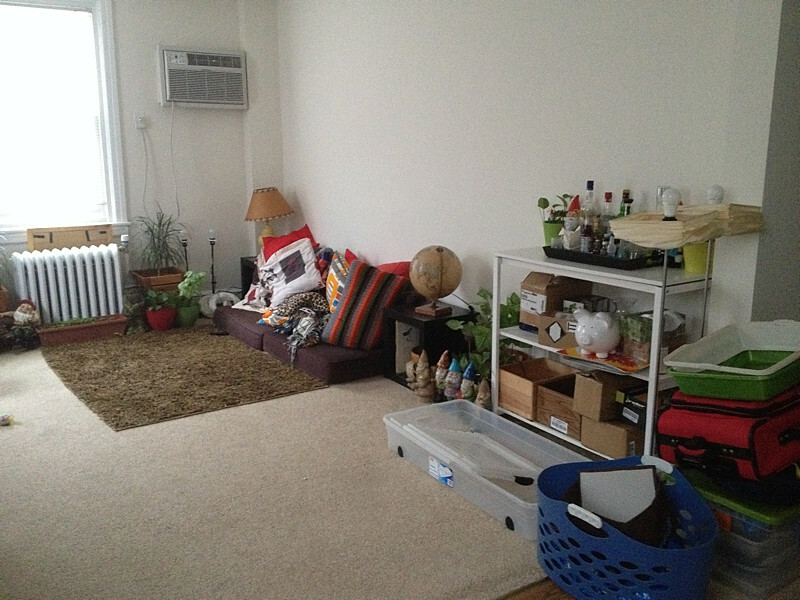 ), but we are so happy with our new home so far. 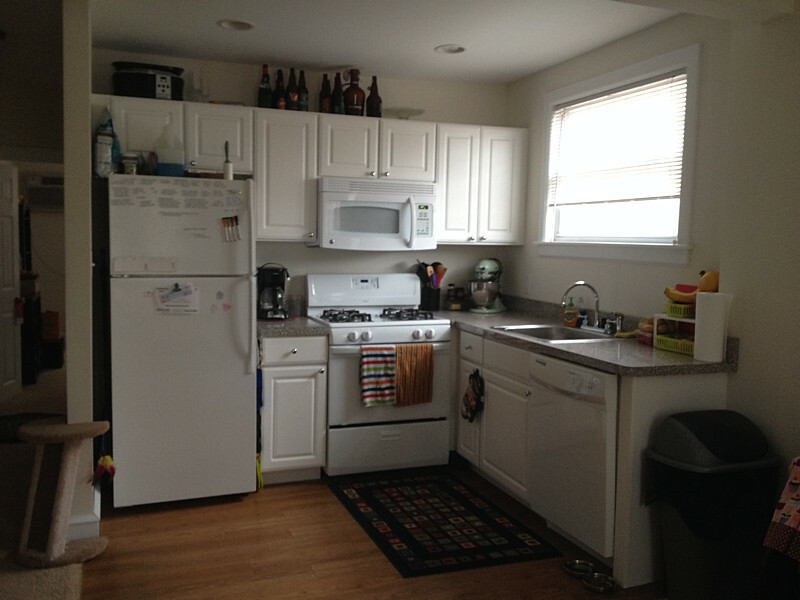 It's so much quieter and brighter, and the extra room helps break things up nicely. So far so good! Lloyd had no idea what was coming... when it came time to pack him up, he wasn't having any of it! Shawn's position says it all. We were exhausted by Sunday afternoon. Things started to look a slightly better later that day. But, our couch never made it up the stairs. Looks like we're on the market for a new one. The other side of the room doesn't look like much either. And this is what it looks like today! I guess we managed. New bed sheets! Shawn and I have had the hardest time agreeing on some. 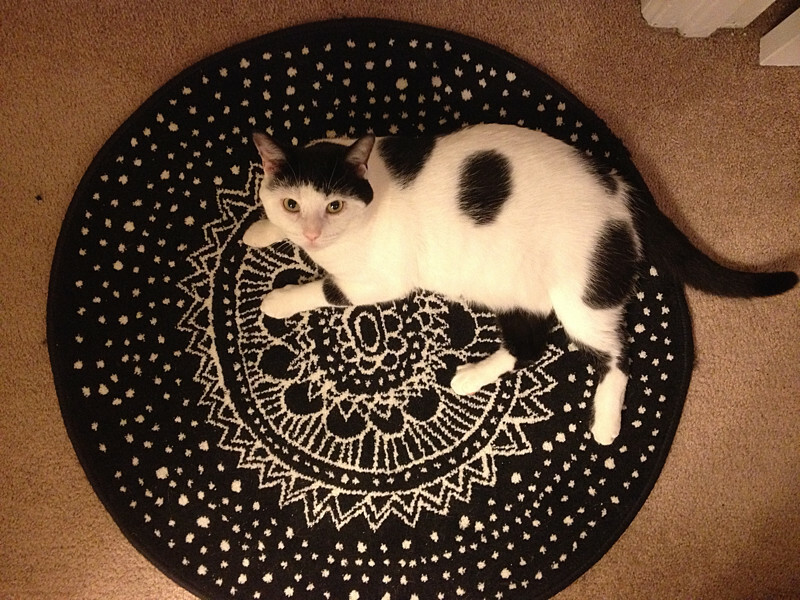 I found these at Bed Bath and Beyond and he liked them too! 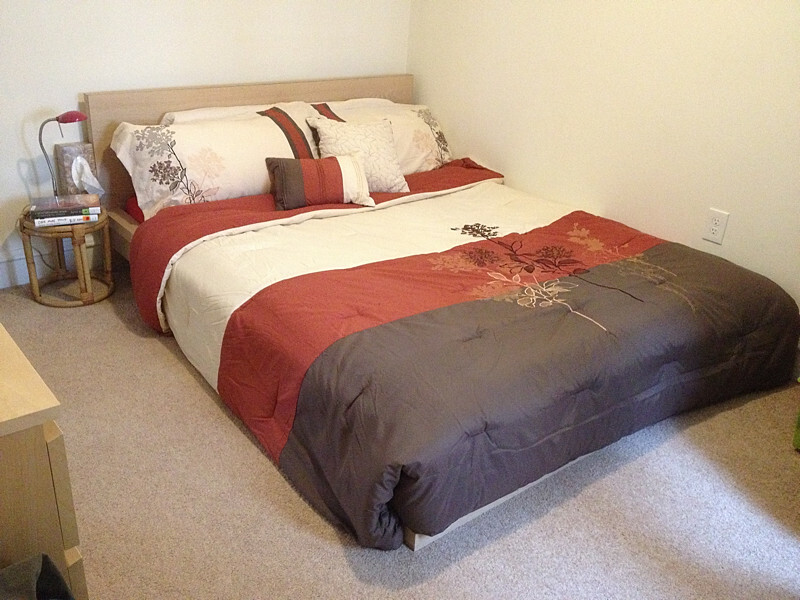 The bedroom has a bed and a dresser, and that's basically it. But what else does a bedroom really need? 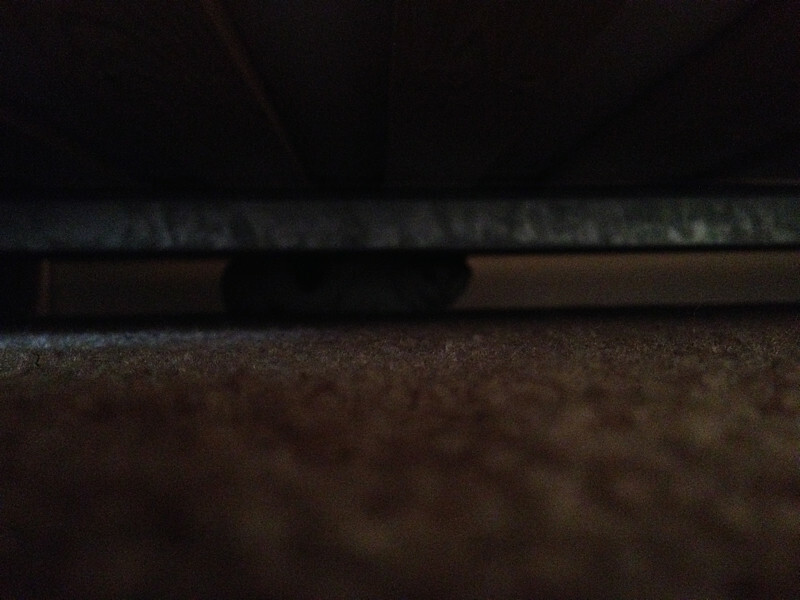 Speaking of beds, underneath ours is where Lloyd hid for most of the first two and a half days. Eventually he came out and continued his usual cuteness. He's been exploring and discovering all the surfaces he can climb on. 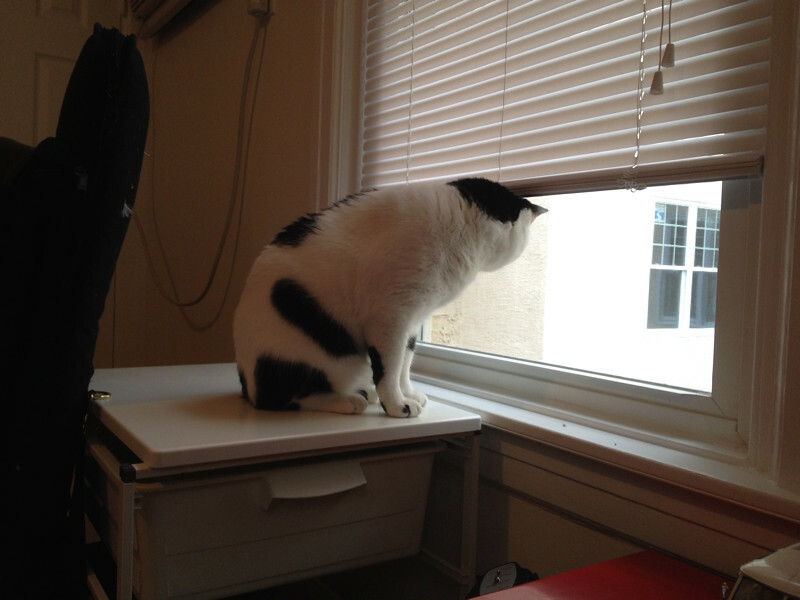 He fell off of my desk this morning trying to jump onto the window ledge... it was actually pretty funny to watch because I could see him calculating the jump! 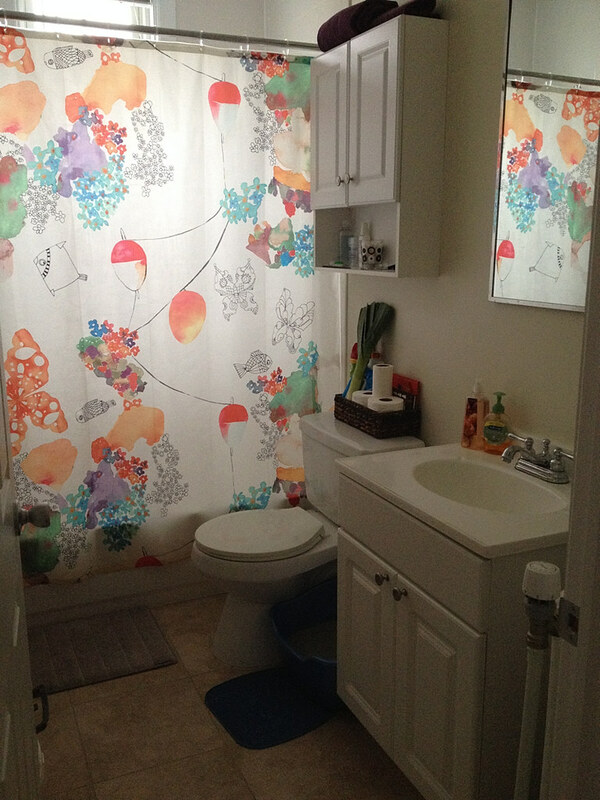 The bathroom was the first finished room in the apartment. It's so bright in there! 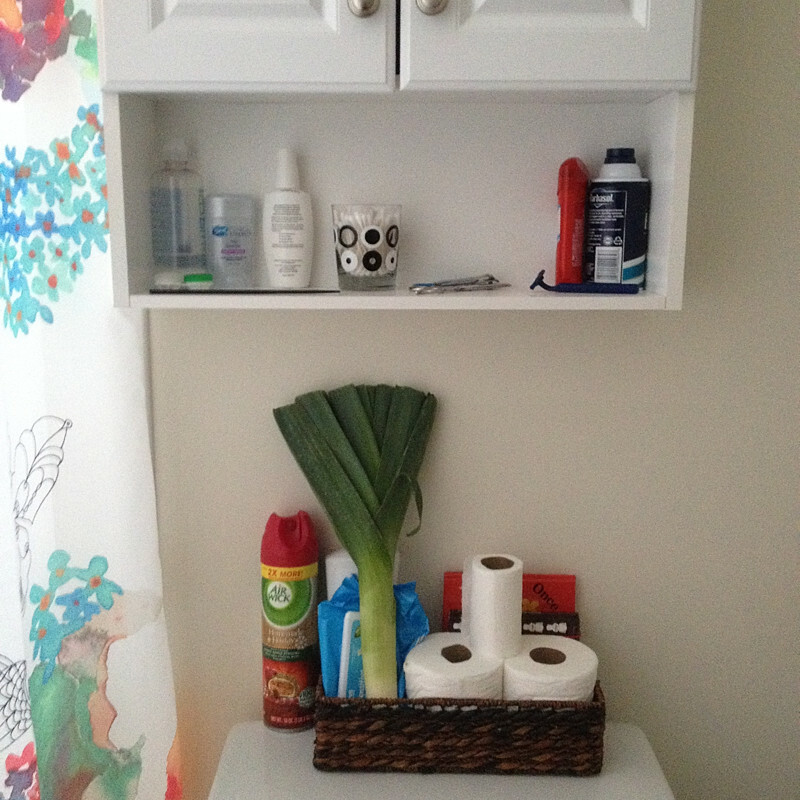 Why, yes, there is a leek in our bathroom. I'm playing a practical joke on Shawn tonight... shhhh! I'll give you a more proper tour when things are looking a little more put together. 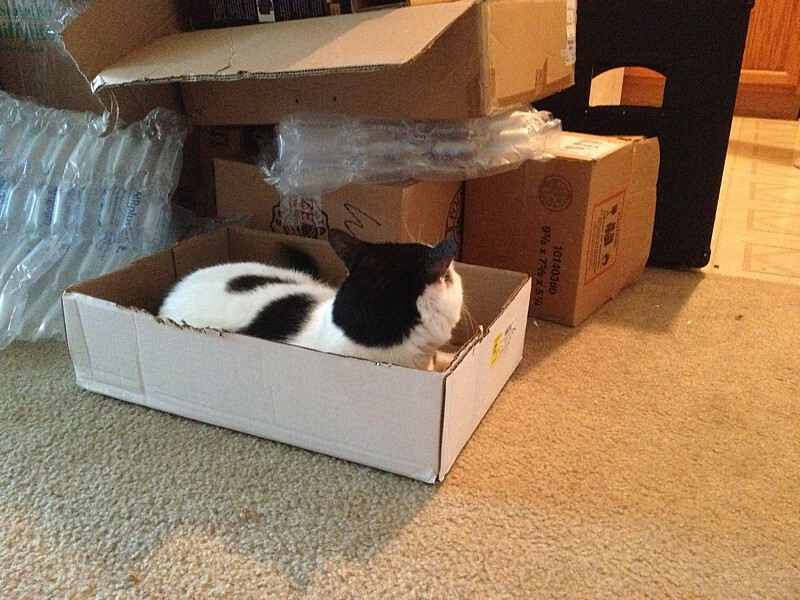 Your new place looks great and so roomy! Hahaha I love your makeshift couch.